Last weekend, admittedly, no one is going to be getting near that #1 box office spot until Jurassic World goes extinct. Which is probably making many movie distributors groan. It was the fourth best animated debut, following Shrek the Third, Toy Story 3 and Shrek 2. This is great news for family friendly animated films. Then again, there are so few family friendly movies out there sometimes that the starved movie demographic will grab at the chance to go see a great, kid-friendly movie. And it is easy to say "The #1 box office hit..." in a category. Add to that the 50% higher priced 3D movie tickets that I'm sure a good chunk of people went to see did not hurt either. BTW: Despite my attitude about 3D movie box office records and the high ticket prices of late, today's 3D makes animated movies look pretty awesome, and potentially more fun. If you can actually stomach the 3D process. I'd recommend going to see a quality animated flick at least once in 3D and you will see what I mean. Otherwise, 3D rarely adds anything but a thinner wallet in your pocket if the story does not pan out. The next animated feature that might threaten Out's good standings would be the animated flick, Minions. 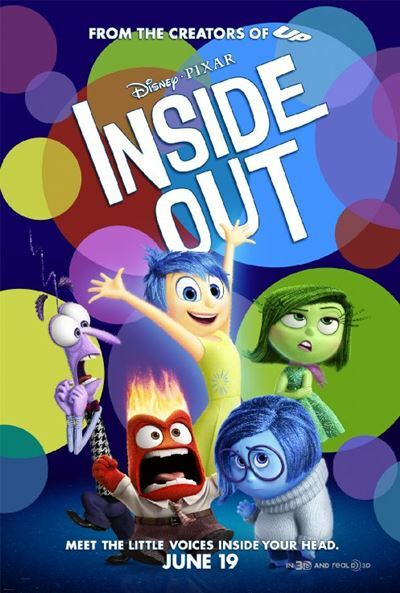 If Inside Out continues on this path of financial momentum, estimates are saying that after the July 4th weekend, it could reap in around $350M domestically, helping it possibly set the another record of potentially being the third best opening for a Disney Pixar flick. IF. We went on Sunday, $21 for me my wife and our 7 year old. The people in front had 3 kids and they had a bucket of popcorn and kids treats for both the kids. So they dropped $50 easily on that Sunday morning trip. That's a good point Paul! Did you go see it in 2 or 3D? OH, and what did you think about it? Wanna write a review for the site?